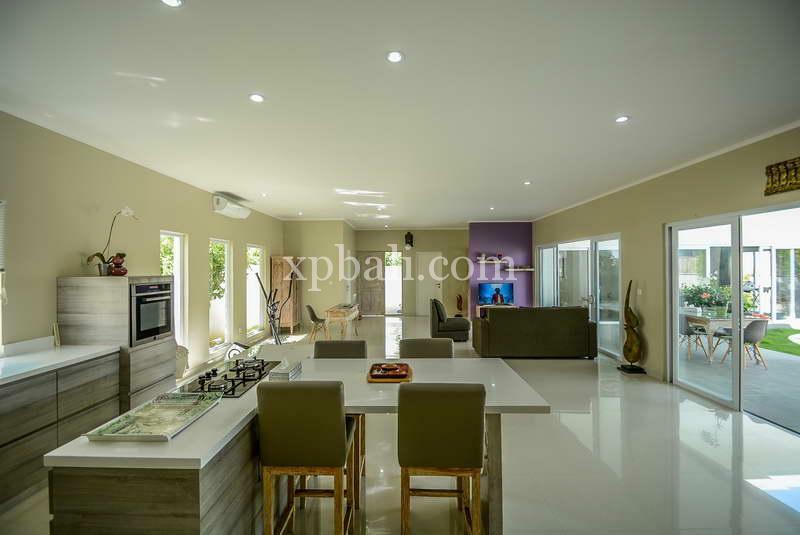 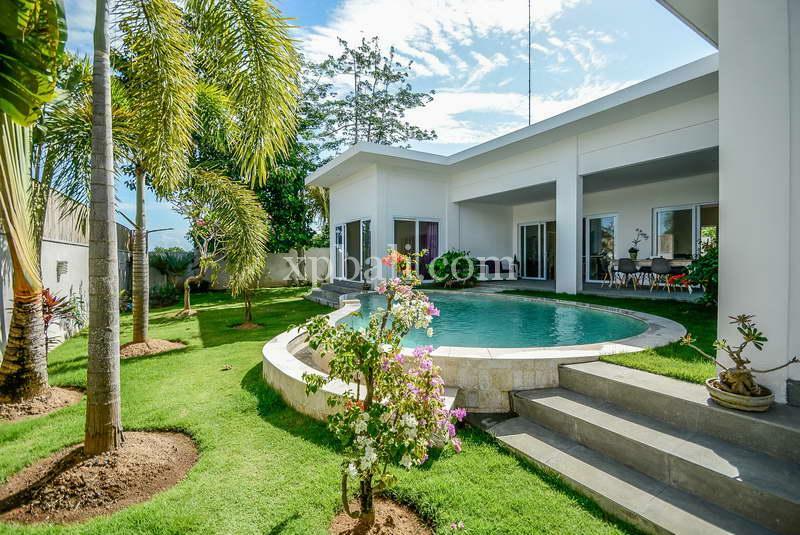 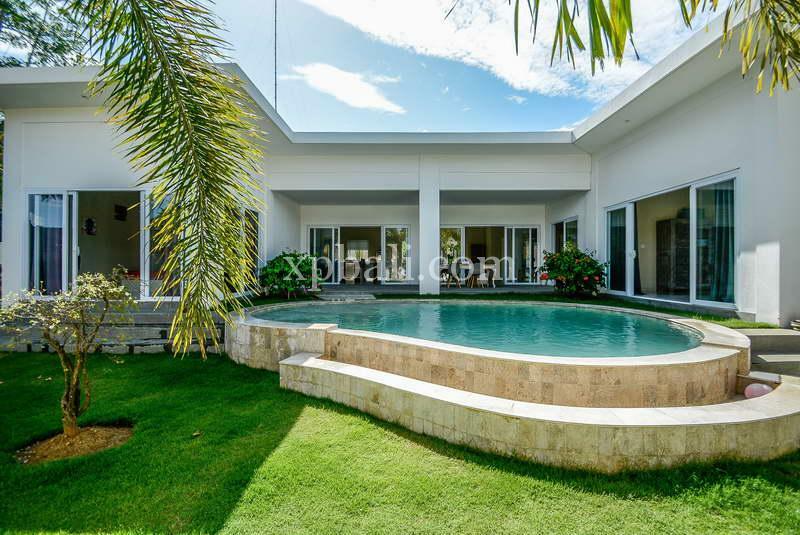 This beautiful minimalist designer villa situated on 6.8 are/680m2 of leasehold land in Bukit, Ungasan. 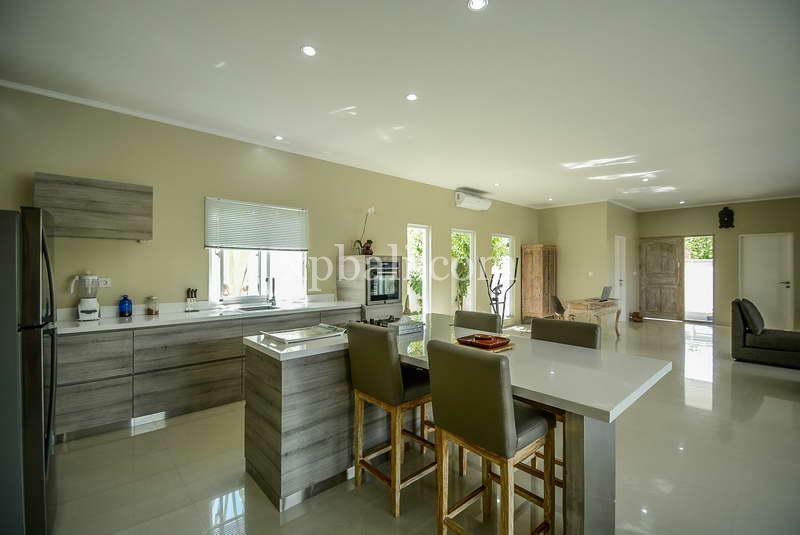 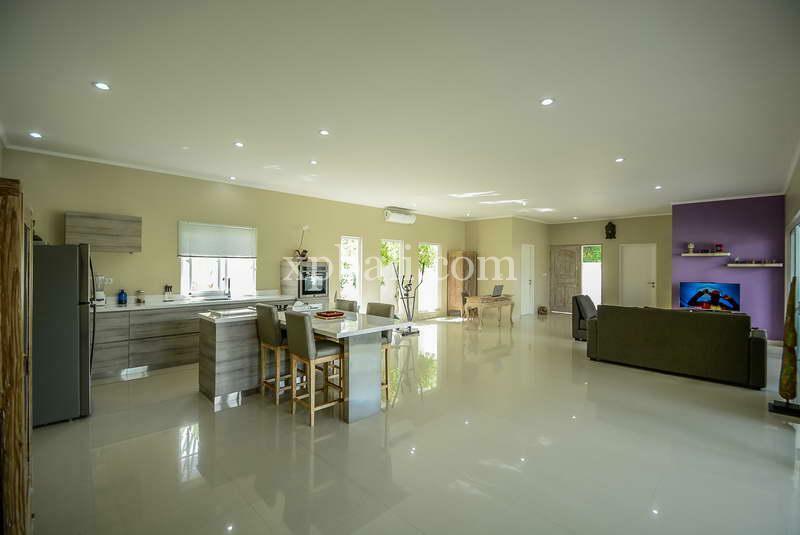 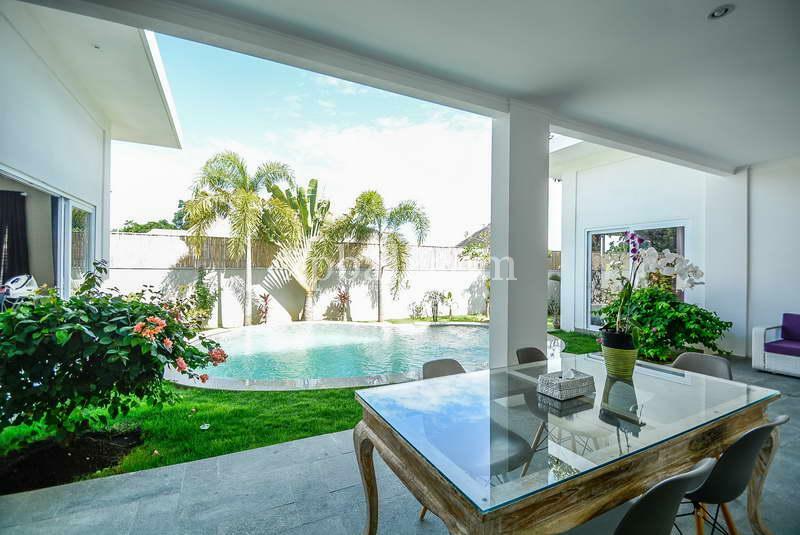 Decorated with great taste with exquisite furniture and artistic interior, this villa offer you 3 en-suite bedrooms, living room, kitchen, outside dining, big green garden, 22 meter swimming pool and comes fully furnished. 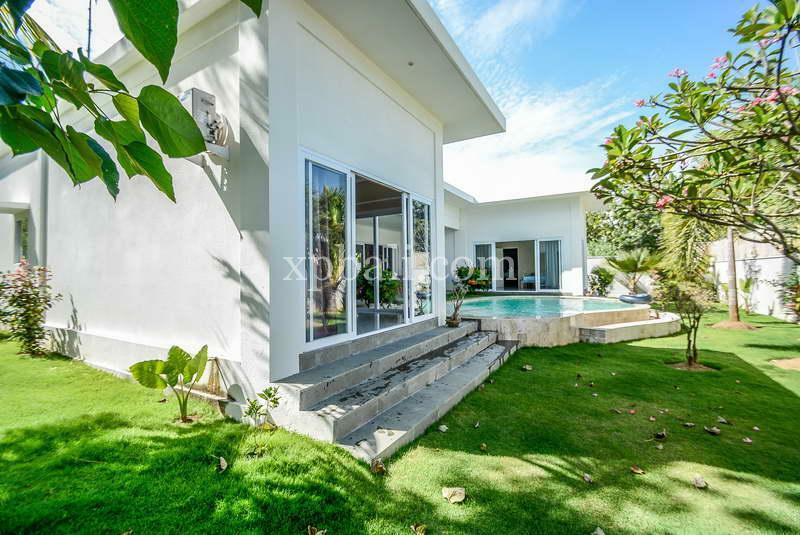 The villa is perfectly located near Karma Kandara on the central bukit and is surrounded by Bali’s most beautiful beaches. 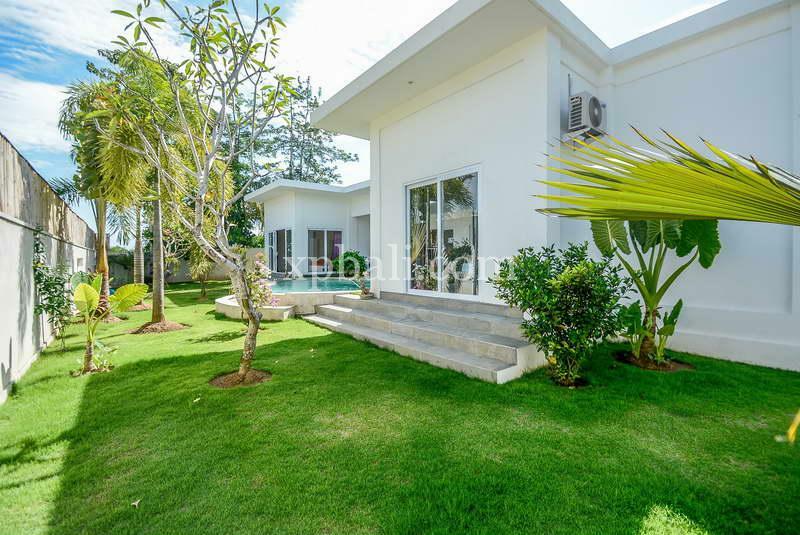 Some of these beaches offer the best surfing in Bali, Jimbaran beach, Balangan beach, Dreamland beach, Padang-padang beach, Suluban beach, Pandawa beach, Gunung payung beach are all within 10-20 minutes away. 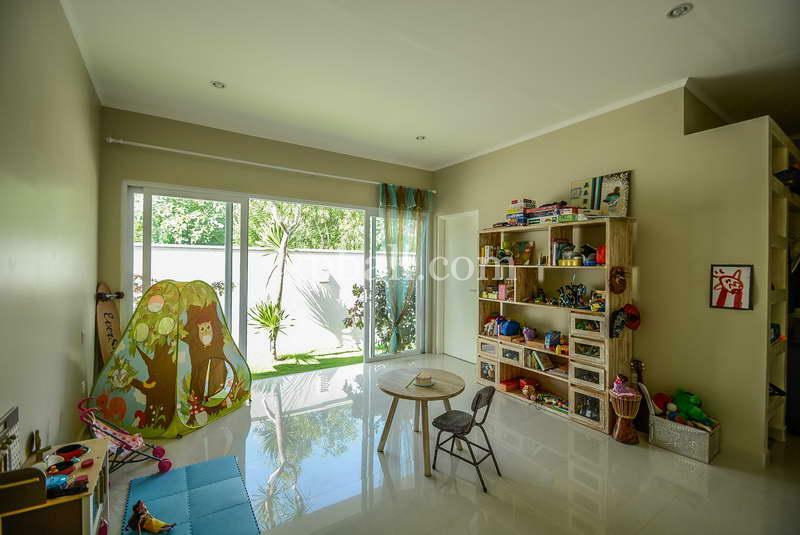 Other recreation areas such as GWK are approximately 10 minutes away. 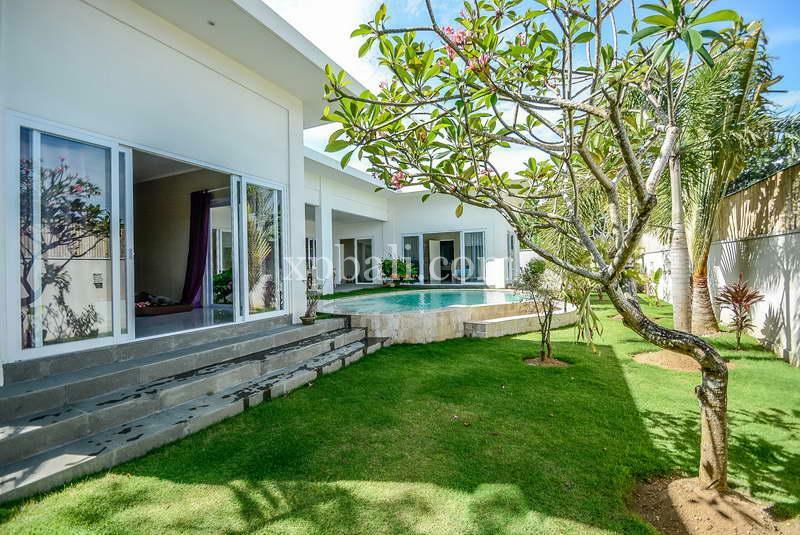 Dreamland Water Park, Sundays beach club , Omnia , uluwatu temple and three amazing golf courses and resorts only 15-20 minutes.